The Honors in the Major (HIM) Program, is designed to encourage the best juniors and seniors to undertake original and independent work in their major field. Established in 1989, Honors in the Major is the oldest and most prestigious undergraduate research program at UCF. It is the only undergraduate research program on campus in which students are required to undertake original and innovative research as principal investigators. In this program, students research, write, defend and publish an original Honors thesis that serves as the capstone product of their undergraduate career. This thesis is published through the university library and is available to researchers worldwide through electronic databases. If you are a current or prospective Thesis Chair or committee member for the Honors in the Major program, we have a variety of resources that will help to clarify the structure of the program and your roles and responsibilities as a mentor. Please reference our Honors in the Major Handbook, Honors in the Major Directed Readings and Thesis deadlines, and the Honors in the Major Faculty Fact Sheet for more detailed information. You may also directly contact the Office of Honors Research should you have any specific questions or need additional clarification about the program. Burnett Research Scholars is UCF’s premier undergraduate research program that is designed to help students identify and work with faculty mentors in a research area of shared interest, and then to assist student-mentor teams with project funding. In order to be a Burnett Research Scholar, students must submit a grant application and be selected to receive funding. The Burnett Honors College funds up to three grants per semester. One grant will be awarded per academic category when possible: Sciences and Engineering, Social Sciences, and Arts & Humanities. Each semester, grants consist of $1,000 for student awardees and $1,000 for faculty awardees. Grant applications and more information is available on our Burnett Research Scholars page. In order to help foster research experiences for undergraduates, such as Burnett Research Scholars, we encourage our faculty to promote any research positions that they feel would benefit from the assistance of undergraduate students. 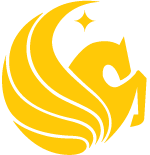 The UCF Office of Undergraduate Research maintains a Research Database where faculty and graduate students can post their research openings. Here, our faculty can provide details of the project, requirements for students to participate in the project, student responsibilities, and contact information. Please direct any questions about the Burnett Research Scholars program to the Office of Honors Research.